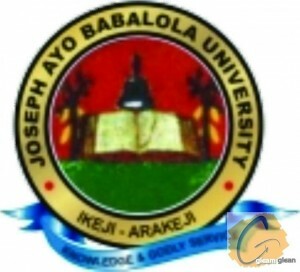 Joseph Ayo Babalola University (JABU) Post-UTME/Direct Entry Admission Screening Form, Admission Requirements, Application Guidelines for 2018/2019 Academic Session. Applications are invited from suitably qualified candidates for admission into the Joseph Ayo Babalola University (JABU) various undergraduate programmes for the 2018/2018 academic session. Both UTME and Direct Entry candidates are welcome to apply. Academic Office, Joseph Ayo Babalola University Ikeji Arakeji, Osun State. Christ Apostolic Church, General Secretariat, Oba Isaac Akinyele Complex, Anlugbua, Basorun, Ibadan. Lagos Office: No. 50, Ikorodu Road, Fadeyi, Lagos State. Christ Apostolic Church, FCC, DCC Headquarters, Stadium/Game Village, Roundabout before VIO Office, Area 1, Abuja. Christ Apostolic Church, Yaba DCC Headquarters, 13, Odewale Street, Alagomeji, Yaba, Lagos. Christ Apostolic Church, Mushin DCC Headquarters, 1, C.A.C Street, Olorunsogo, Mushin, Lagos. Christ Apostolic Church, IKorodu DCC Headquarters, 12, Towolawi Close, Ikorodu, Lagos. Christ Apostolic Church, Rivers DCC, 25, Umuduru Street, Mile 3, Diobu, Port Harcourt, Rivers State. Christlad Bookshop, shop 4, Ibukun Oluwa Shopping Complex, opposite City Stadium, Omo West Area, Osogbo.